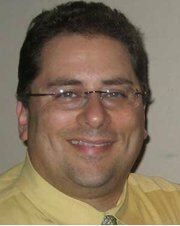 Hello, my name is Michael Ginsberg and I am president of 3Gstore.com. I just don’t get 98% of the companies out there that directly interacts with customers. Most of them don’t know how to talk/treat/interact with customers. It really isn’t that hard but most just don’t get it. Here are the rules to follow for any company that deals with customers. There are many ways these days that a company can interact with their customers via the web, social media, traditional advertising, phone and email. It is really important to be able to quickly understand your customer’s needs and then tell them what will work AND what will not work. It is more important to be honest with your customers, even if it doesn’t lead to the sale. For first time customers, this is probably the easiest one to hit. Many customers are used to being let down. They are used to broken promises about if something will work or when something will ship. By exceeding your customer expectations they will be impressed and then they will come back over and over again - because they will remember how you didn’t let them down their first time. You have to have the right means of communications in place so that you communicate correct information with your customers and this helps considerably. When customers have issues, it is important to give the first line of defense the ability to resolve any issue they may have. Even if this doesn’t happen that often, it will. There will be issues that are outside of your control. FedEx will miss a delivery. The manufacturer will have a dead product. Your shipping department could ship the wrong product. When things go wrong, looking at cost and profit doesn’t always make sense - but go back to exceeding your customer’s expectations and everything will be fine. I remember 2 years ago, we shipped a $13 cable to a customer via FedEx Saturday delivery because of a mistake that we made. It costs us $40 to ship that $13 cable. If we based that decision on profit/loss we would never have shipped it. BUT for winning a customer for life and doing the right thing...it was the only thing to do. This is probably the most important part of customer service. As the president of 3Gstore.com, 99% of the time when a customer wants to “speak to a manager” or “speak to the owner”, it is usually to praise an employee about an experience that they just had. Many of these customers are shocked to find someone on the other end of the phone who listens and cares. Part of the success in the area is “thinking differently”. For example, our sales people are not paid on commission, their job is to have happy customers. We don’t push what we have in stock or what the salesperson makes the most money, each employee wants the customer to be blown away with our service, shipping, support and ease of finding a solution to you problem. Also, when you do need to call our tech support department, you will find you speak to US based English speaking people that KNOW the product you have. In fact, we use all of the products we sell to run our business. So, I guess I let the cat out of the bag and every company out there will now get it and have extremely happy customers and be recognized by StellaService. But that is very unlikely to happen. Too many companies are focused on numbers (sales quotas, call volume, stock price, etc.) instead of being focused on the most important part of any business, the customer.